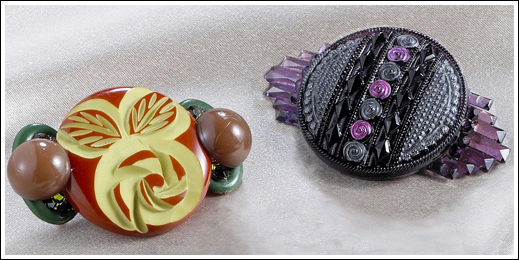 Vintage bakelite buttons, beads, glass tiles, and findings are beautifully assembled by Jody Lyons to create these unique brooches, in very limited editions. Each one is 2” to– 3” long, and comes with details on its components. Wear them on your vintage or contemporary outfit, and we’re sure they’ll become the topic of conversation.